UNITED STATES—No matter how much of an effort you may make to stick to regular exercise and a healthy diet, most of us sometimes crave comfort food. They desire processed foods or sugary snacks. Some say that’s due to the fact that eating sugar can cause the serotonin levels in our brain to increase, which generally leave us feeling happier and more at ease. It’s okay to have a cheat meal, every once in a while. Just don’t overdo it. While some sugar is acceptable from time to time, too much can be unhealthy. It can leave us feeling tired and sluggish and interfere with our regular exercise. Chocolate is a perfect snack for those looking for a quick energy rush. It’s a very handy snack to take with us wherever we go. It’s a tasty treat anytime you need to just take a break. There are also some proven health benefits of eating certain kinds of chocolate on a regular basis. You can find out more about different kinds of chocolate online, There are many websites dedicated specifically to various products and chocolate manufacturers. You can visit www.santabarbarachocolate.com and other sites to learn more. You can also do a little research into the nutritional qualities of different brands of chocolate and see how people rank their favorite types of chocolate. If you’re concerned about which products are the healthiest, most sites usually list ingredients for all of their products. 1. They’re good for your heart. Organic chocolate contains magnesium, which is healthy for your heart. Most forms of chocolate also contain flavonoids, which are antioxidants that help improve blood circulation, reduce your risks of stroke and can even protect your body against cardiovascular disease. There are also other antioxidants in chocolate called polyphenols that have been shown to help reduce bad cholesterol and prevent against hardening of the arteries in our bodies. 2. It can help with brain function. Chocolate can also help your mind as well as your body. It can help improve memory and brain function, as well as improving blood flow to the brain. Some studies have suggested that it can even act to prevent neurological diseases such as Alzheimer’s and other forms of age-related memory loss and cognitive impairment. 3. It can assist your metabolism. Another great benefit of organic chocolate is that it can help your body metabolize dietary fat better. It can even help you lose weight. Because fat is being broken down more efficiently, this aids the body’s metabolism so that you can prevent gaining weight. It can also give you more energy to keep up with your workouts and other regular daily routines. 4. Chocolate can give you a good boost of caffeine when we need it. Most of us already know that chocolate contains caffeine. This gives us a healthy boost of energy at times when we’re feeling a little run down or lethargic. A few bites of chocolate can quickly give us the energy boost that we need to get on with our day. The magnesium in chocolate, besides being healthy for your heart, also helps to keep your body energized. Magnesium has also been shown to help against other issues such as osteoporosis, high blood pressure and type II diabetes. 5. It helps keep your skin looking young and vibrant. The antioxidants in chocolate do more than just prevent the signs of aging and wrinkles. They can even improve your skin’s texture. Some people choose to use organic cocoa butter in combination with organic coconut oil as a simple yet effective way to moisturize their skin. It’s a very affordable skin care product that looks and tastes great as well. 6. It protects your teeth. Organic chocolate has also been used to help prevent against tooth decay. There are natural properties in the cocoa bean itself that are very effective against plaque. Their strong antibacterial properties are just as good, if not better, than fluoride in certain situations. 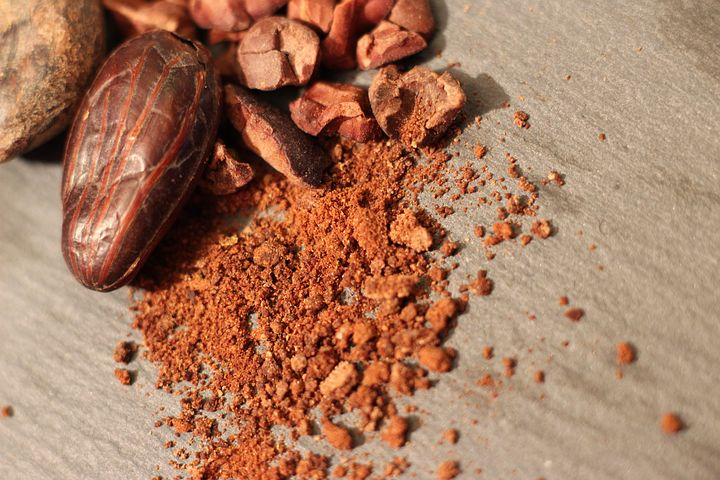 The powder CBH which is found in cocoa has also been used to help strengthen tooth enamel. These are just some of the many benefits that organic chocolate can provide. Other advantages include assisting with digestive health and helping to balance out hormonal mood swings. The key is moderation, just like with any other food product. A little once in a while is good, but a lot can be dangerous over time. Adding a few organic chocolate chips or other similar products to part of a balanced diet and regular exercise is just one way to help you live a healthier, happier life.